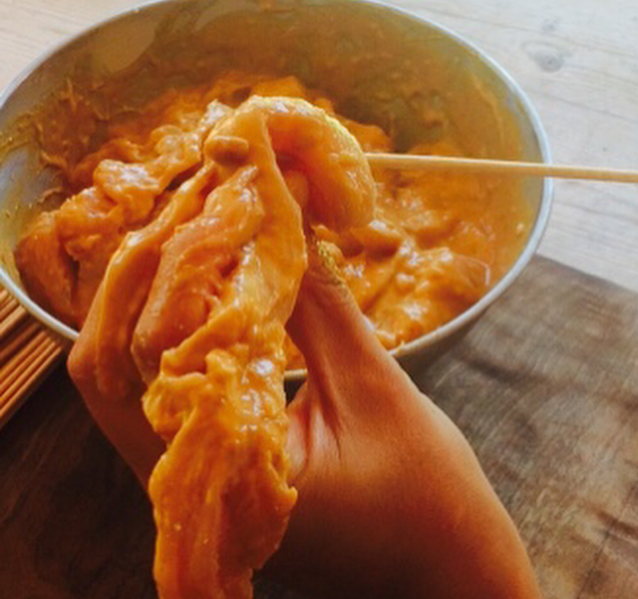 Put all of the satay marinade ingredients into a bowl and whisk and taste. 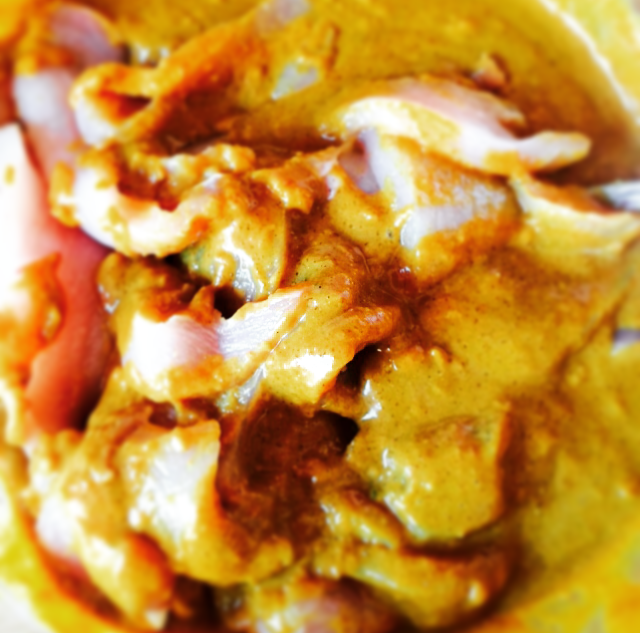 Remove some of the marinade for the dip, about 1/3 of the mixture. Stir the chicken into the bowl and let it marinade for about an hour. Soak the skewers in water. 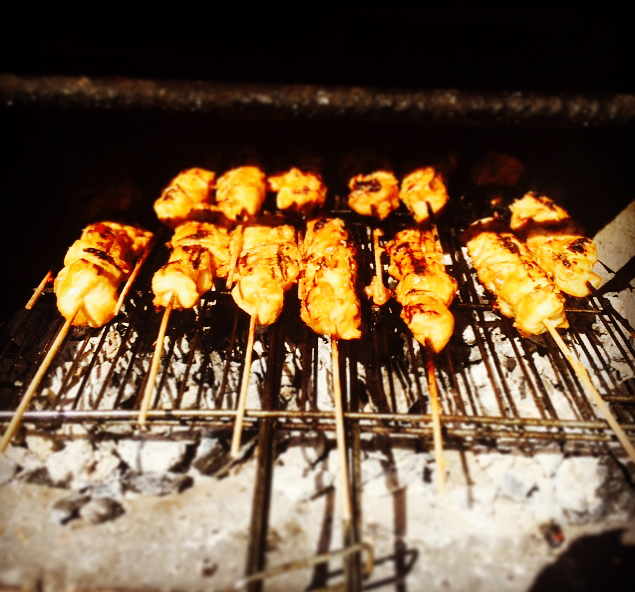 Once marinated skewer the chicken, folding the strips back and forth on the skewer. 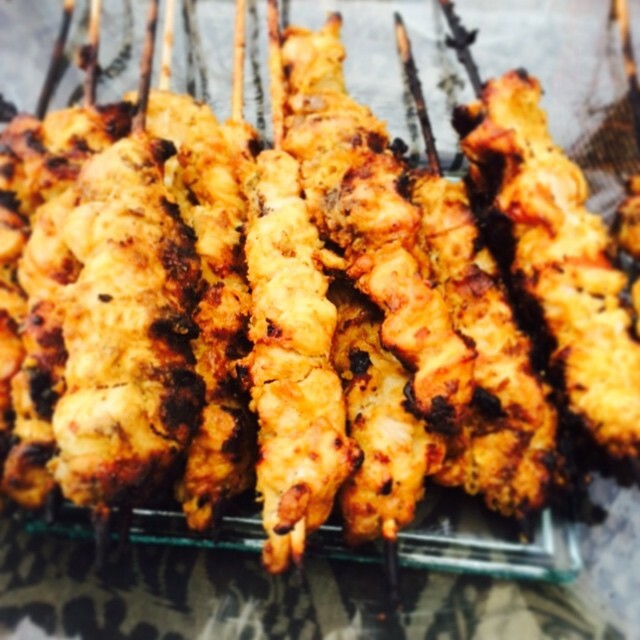 Use about two strips per skewer depending on the length of the chicken strip. 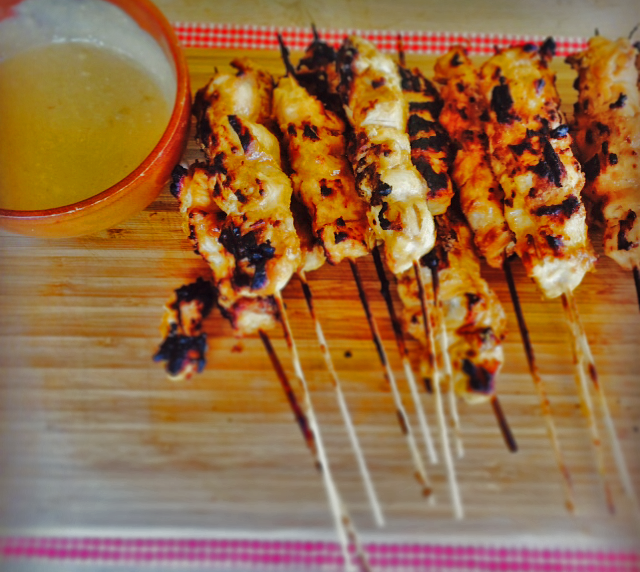 Place each skewer onto a tray ready to BBQ. Continue until you have used all of the chicken. Pour the remaining marinade over the skewers evenly. Cover with foil and put in the fridge until ready to cook. Meanwhile make the dip, get the reserved marinade and pour around 75ml of coconut in, mix well. This is your dip keep it cool. 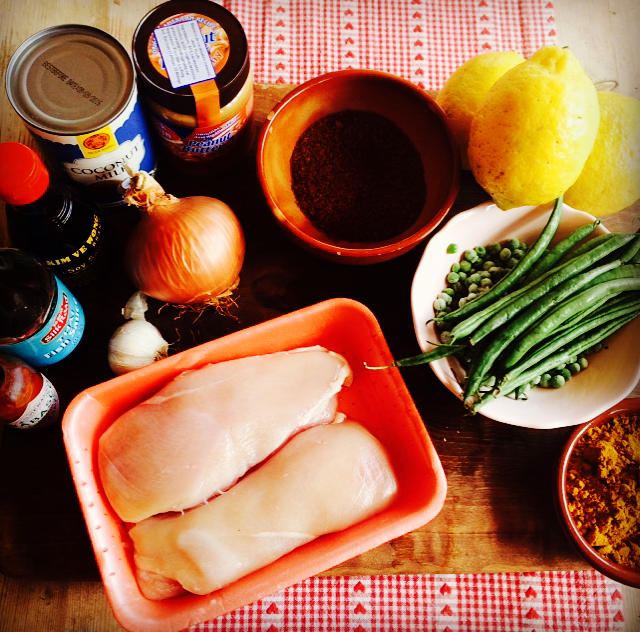 Once you are ready to cook, place on a hot BBQ, try not to over cook, the chicken is not good if it is dry. Once the meat is white and you have little bits of charcoal colour it is done. Meanwhile make the dip, get the reserved marinade and pour around 75ml of coconut in, mix well. Taste this you may wish to add more spice/milk. This is your dip keep it cool.